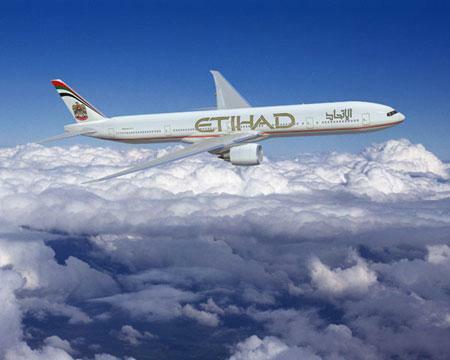 Etihad Airways has been handed security approval to begin US flights from the new terminal 3 at Abu Dhabi International Airport. Passengers flying to Chicago and New York will currently check-in and board from Terminal 3 after the airline won the green light to operate flights to US destinations from the new terminal. Premium customers flying to the US can at present access Etihad's First and Business class check-in and lounges in Terminal 3, news agency WAM reported. It is predictable that passenger numbers will reach this level in 2011. Peter Baumgartner, Etihad Airways' chief commercial officer, said: "We are delighted to now be able to offer our US-bound customers the convenience and luxury of Terminal 3."